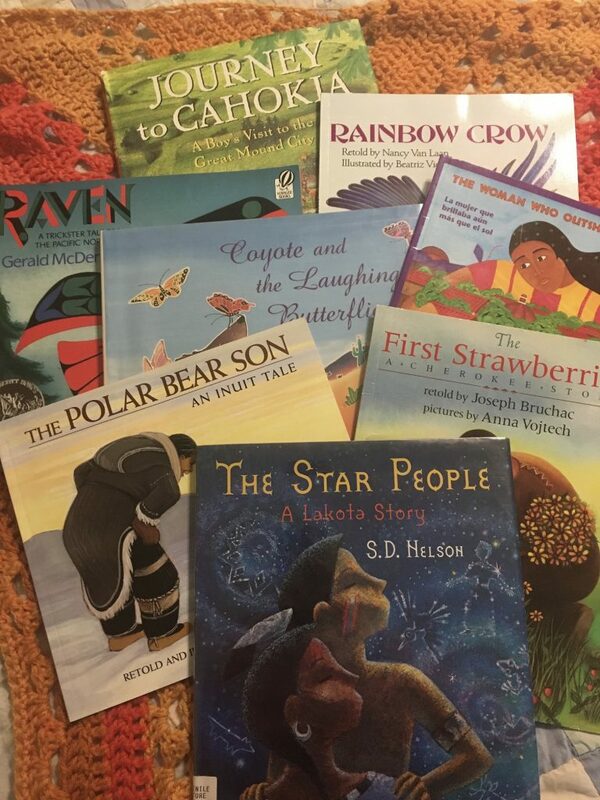 Native American Myths help children learn about tribes through engaging stories and pictures. I am so excited to announce the completion of our Level Yellow: American History — Indigenous People of North America and Hawai‘i. This is a history program I am proud to put my name on and share with all of you. I believe firmly that American children need to learn the history of their country while in elementary school. And I believe that picture books give us a wonderfully engaging way to present it to them. When I started looking for where to start with teaching the history of America, there was only one place to start: the people who lived here first. Giving my children the education I wish I had. As a child, my education on Native Americans was limited and incomplete. As a child, I learned far more about the history of France than the countries that border my own. I find this unacceptable for my children. When I went to teach my own children, I hunted for a curriculum that would teach the diversity of the indigenous people of North America. I wanted something that would teach geography, culture, history, myths, and traditions, and then follow that up with some lessons on Native Americans of today. I found nothing out there to help me do this. So I wrote it. I wrote and re-wrote, and got some help to make this the best possible curriculum. 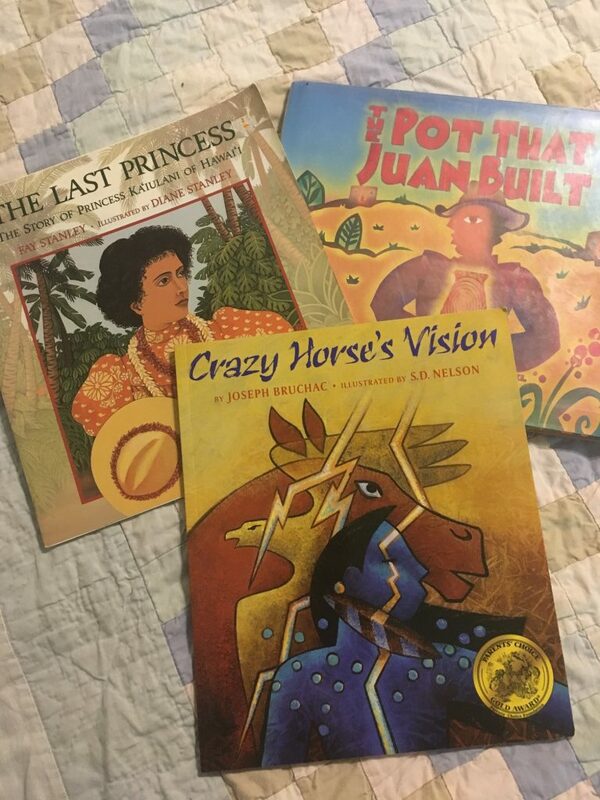 Beautiful Picture Books are our foundation for learning. 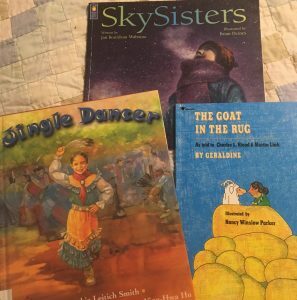 We found some wonderful picture books that told stories I had never heard and felt were important stories to share. The stories came not only from inside the United States but from groups of people in Mexico, Canada, and Hawai‘i. This curriculum is far from a complete story of the Indigenous People of the Americas and Hawai‘i. There are hundreds of groups of people who have lived in these places for many thousands of years. Their stories are complex and diverse. This program is uniquely designed to go deeper and farther than any other U.S. history curriculum for children on this topic. 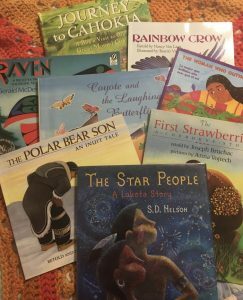 You will learn about 14 distinct groups of people through beautiful picture books that will help your child make deeper connections to the material. This program includes lessons on the Cherokee, Zapotec, Lakota, Hidasta, Hiada, Navajo and Inuit along with many more. 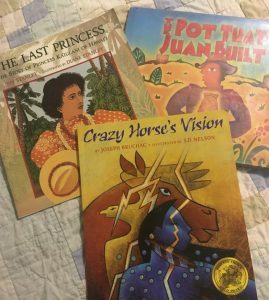 Level Yellow units include hands-on projects, YouTube videos, and beautiful picture books to create a multisensory approach to learning history, literature, and science that is designed to work for children with all different styles of learning and at a wide range of academic skills. If your child is not reading and writing there are options for language arts discussions and writing for them, so that all children can participate at their own pace. While art projects are included, I have been careful to teach appreciation, not appropriation. 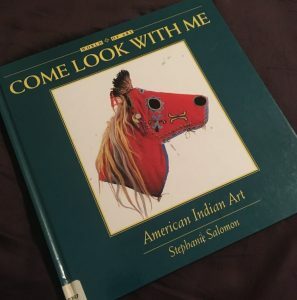 The art projects are designed to create a deeper understanding and interaction with the story, not to inappropriately encroach on Native American culture or beliefs. I hope you will try out this new program, and let me know what you think! Books of modern Native Americans living their lives, completes the unit. Next: Next post: Happy Indigenous People’s Day!